Stovetop cafe, Melbourne. 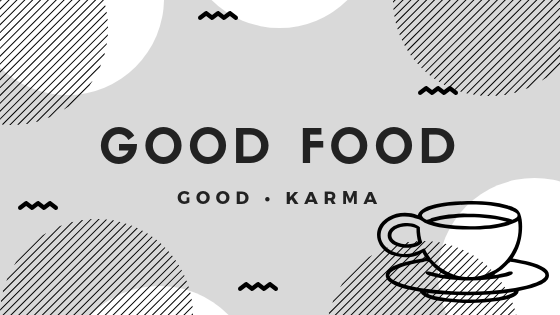 | Good Food, Good Karma. Are you an Insta addict too? The lovely, talented @normabiroccesi baked me these gorgeous dulce de leche palmier sandwich cookies, using @doulsiaustralia and I CAN’T STOP EATING THEM. Luckily I have some amazing Doulsi dulce de leche jam so I can bake some more myself over Easter. That is, if I can stop myself from eating it straight from the jar. 🤣😛 Check out my blog post on @doulsiaustralia now - link in profile. I drink a lot of tea - which equals a lot of caffeine. So that is why I love olive leaf tea - it tastes like green tea, has a heap of antioxidants but is caffeine free. Olive leaf tea also helps to reduce waste on olive farms, as more of the olive tree is used. I’ve tried a few different brands, and am currently enjoying @_stoneandgrove_ - it is made right here in Victoria. Have you tried olive leaf tea before? I don’t think I’ve ever had miso soup that looked as beautiful as this. Swipe for their delicious 🍙There is beauty in simplicity at @279victoriast - my review up on the blog now. Gimme a follow on facebook? Follow me and be updated via email on the best places to eat around Melbourne. Sharking for chips and drinks. The very very hungry caterpillar. We stumbled upon Stovetop after trying to get into a cafe nearby which had a wait time of an hour, which is a common problem on a Saturday morning in Melbourne. Stovetop had no lines, and the friendly staff sat us down in a light filled/instagram ready cafe with lots of greenery and light-wood furniture. After perusing the delicious sounding menu, which had lots of vegan and veggie options, we decided on the below. An amazingly indulgent and yummy Golden Gaytime milkshake, which we would order again in a heartbeat! Sweet, cold and creamy – a proper old school milkshake with a twist! The NEW ZEALAND KING SALMON which included: dry brined & smoked king salmon, potato latke, goats cheese creme, pastrami cure, salmon pearls, poached egg, dill herb salad. We loved this dish – it was deceptively hearty and the potato, goats cheese and salmon went together like a dream. The ZUCCHINI & RICOTTA FRITTERS which also included crushed avocado, persian fetta, dukkah crumbed egg, chilli and rye toast. I was told that the dukkah crumbed egg was awesome, and that it was pretty cool that it was included in the dish without having to pay extra for it, which seems to be a sad trend in Melbourne cafes this days. In fact, this dish included smashed avo, a poached egg and fritters, and it was only $16.50! Great value! We were so happy that we found Stovetop – the food was delicious, the staff lovely, atmosphere buzzing, and the place was filled with light and perfect for food photography. Also, the food was such great value – we left feeling like we had a gorgeous brunch at a reasonable price, which isn’t something that happens often in Melbourne.